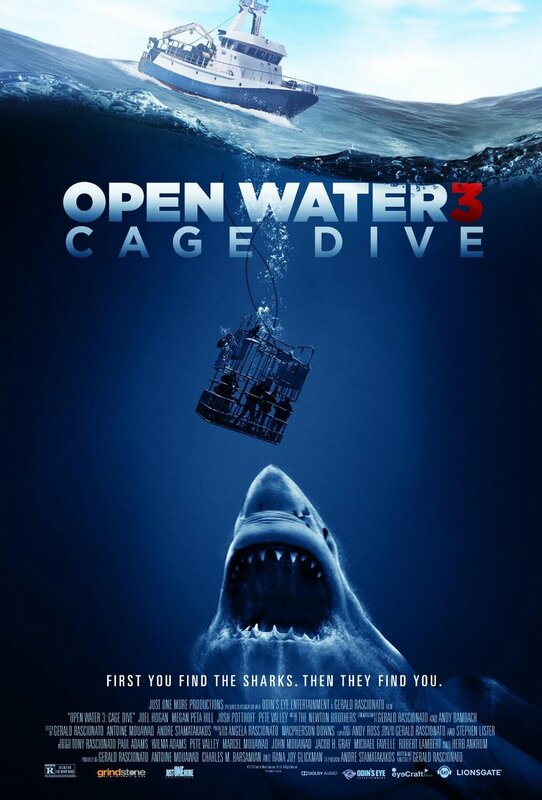 Open Water 3: Cage Dive DVD and Blu-ray release date was set for October 10, 2017 and available on Digital HD from Amazon Video and iTunes on August 11, 2017. Three adrenaline junkie friends travel from California to Australia to film an audition for a new reality show by cage diving in the most dangerous shark infested waters in the world. After their boat is destroyed, the trio now finds themselves abandoned in open water, alone and utterly defenseless. As night begins to fall, and now surrounded by a swarm of Great White sharks, their audition tape has now turned into a record of a life and death struggle.